A Kyle Busch victory at Bristol (Tenn.) Motor Speedway is not a surprise but how Sunday’s came about certainly was. 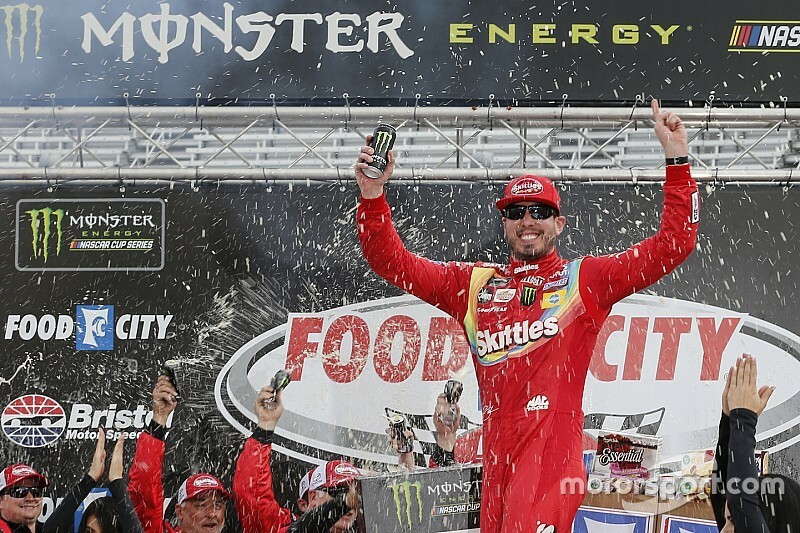 Busch elected not to pit during the final caution in the Food City 500 and held off his older brother, Kurt Busch, over the final 14 of 500 laps to earn his eighth Monster Energy NASCAR Cup Series race at the track. Kurt Busch had closed to the rear bumper of Kyle’s No. 18 Toyota but tagged the wall with three laps to go, which slowed his advance. Brad Keselowski, who was in contention for the win the entire race, was black-flagged on the final restart and ended up finishing 18th. The win is Kyle Busch’s third win of the season and 54th of his career. "It's pretty awesome to be able to snooker those guys, get our win today here at Bristol. Love this place. It was fun to battle out with the brother there at the end," Busch said. 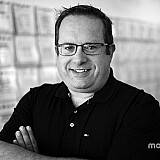 "I know we didn't quite get side‑by‑side racing it out. I saw him working the top. I'm like, 'I better go.' I got up there, was able to make some ground. "Man, just awesome to be here in front of this crowd, here at Bristol Motor Speedway. The Skittles Camry wasn't the best today, but we made the most of not having the best and got everything we needed here at the end." Asked what it means to have won eight times at Bristol, Busch said, "It ain't 12, that's for sure (referring to Darrell Waltrip." So, I got more to go. We're getting there and it's fun." Joey Logano finished third, Ryan Blaney fourth and Denny Hamlin completed the top-five. Rounding out the top 10 were Paul Menard, Clint Bowyer, Daniel Suarez, Ryan Newman and Jimmie Johnson. Following the break between Stages 2 and 3, all of the lead-lap cars elected to pit with Blaney the first to come off pit road. On the restart on Lap 262, Blaney was followed by Logano, Keselowski, Kyle Busch and Newman. 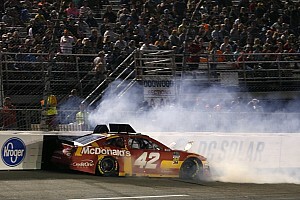 A caution was displayed on Lap 270 by NASCAR after debris was spotted on the backstretch. On the restart on Lap 277, Blaney remained out front followed by Logano and Kyle Busch. Daniel Suarez elected to pit during the caution but was penalized for pitting outside the box and was assessed a 1-lap penalty. On Lap 285, Elliott had worked his way back into the top-five while still battling power steering issues from an early-race accident. 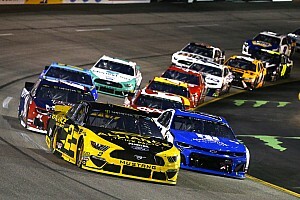 With 200 laps remaining in the race, Blaney maintained a small advantage over Logano, Bowyer was third, Kurt Busch fourth and Elliott fifth. With 150 laps to go, Blaney, Logano and Bowyer ran first, second and third and little space in between them. Kurt Busch remained in fourth and Kyle Busch had taken fifth from Elliott. On Lap 354, Logano finally slipped by Blaney and back into the lead. Bowyer closed on Blaney to challenge for second, taking it on the next lap. A caution was displayed on Lap 374 for debris in Turn 2 just after Bowyer had grabbed the lead from Logano. Kevin Harvick had appeared to make contact with the wall shortly before the caution. All of the lead-lap cars elected to pit with Bowyer the first off pit road, followed by Kyle Busch, Logano, Blaney and Kurt Busch. The race returned to green on Lap 383. Kyle Busch powered to the lead on the backstretch shortly after the restart. With 100 lap remaining in the race, Kyle Busch held a small advantage over Bowyer, with Logano right behind him. Blaney was fourth and Kurt Busch fifth. Bowyer got around Kyle Busch and returned to the lead on Lap 410. Logano also got around Busch and moved into the second position. William Byron and Kyle Larson made contact on Lap 414 to bring out another caution. All of the lead-lap cars pit with Hamlin taking just two new tires and was the first off pit road. Hamlin, however, was penalized for speeding on pit road and had to restart from the rear of the field. On the restart on Lap 423, Kyle Busch led the way followed by Bowyer, Logano, Keselowski and Blaney. Keselowski powered into the second position shortly after the restart. On Lap 431, both Chase Elliott and Bowyer both tagged the wall in separate incidents, which brought out another caution. On the restart on Lap 440, Kyle Busch remained out front followed by Keselowski and Logano. Keselowski made his way around Kyle Busch on Lap 446 coming off Turn 4 to retake the lead. With 31 laps remaining, Logano got around Keselowski on the backstretch after some contact between the two as Kyle Busch remained in third. Larson got into the wall again with 22 laps remaining to bring out another caution. Kyle Busch and Kurt Busch stayed out and restarted in the front row when the race restarted with 14 laps remaining. They were followed by Suarez, Menard and Keselowski. Keselowski was black-flagged on the restart for not following a NASCAR directive on where to line up. Kurt Busch: "I was going to wreck my little brother to win today"